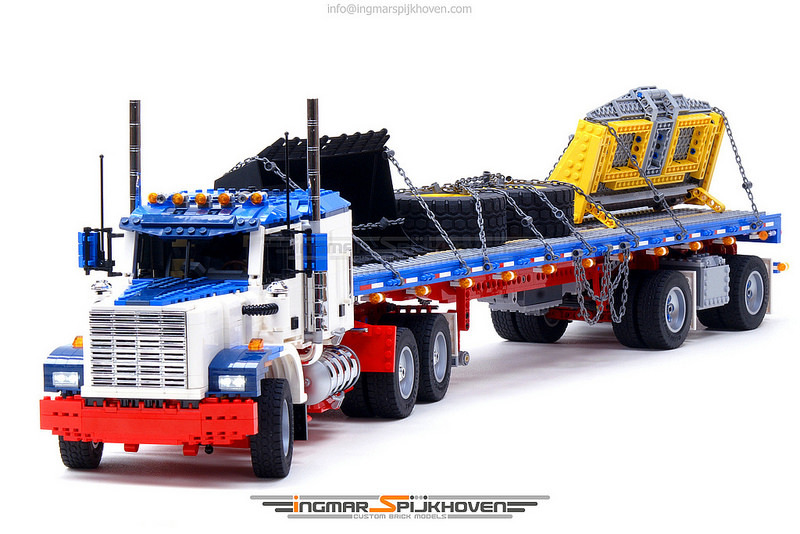 Builder Ingmar Spijkhoven builds a mean-looking truck, complete with its trailer and a payload with chains to secure them all. 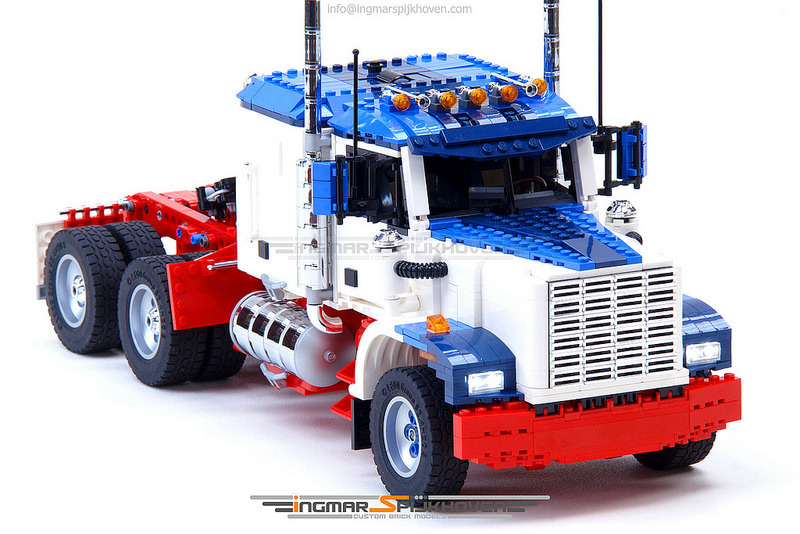 Though it’s not modelled after any given brand or manufacturer but purely from the builder’s imagination, it stands out enough with a very classic “truck look” that reminds me of the infamous transformer Optimus Prime — especially with the colour scheme Ingmar used. 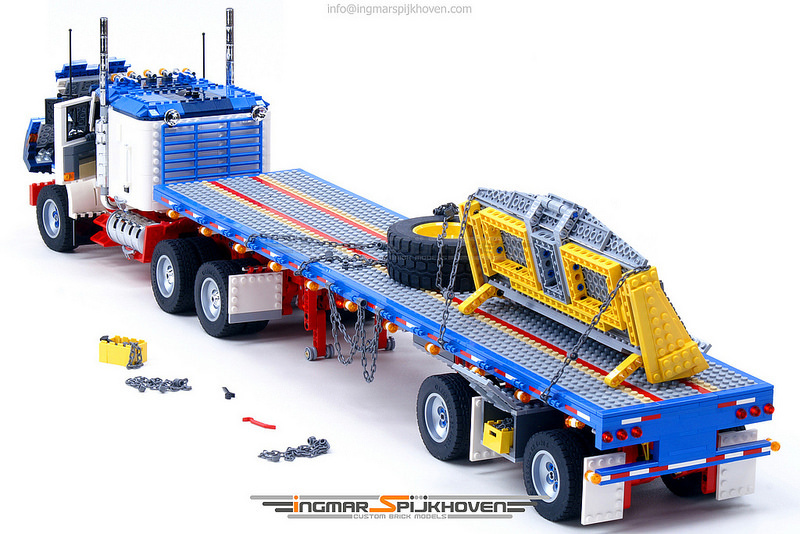 The best part is that it’s actually motorised with Power Functions and remote control features. 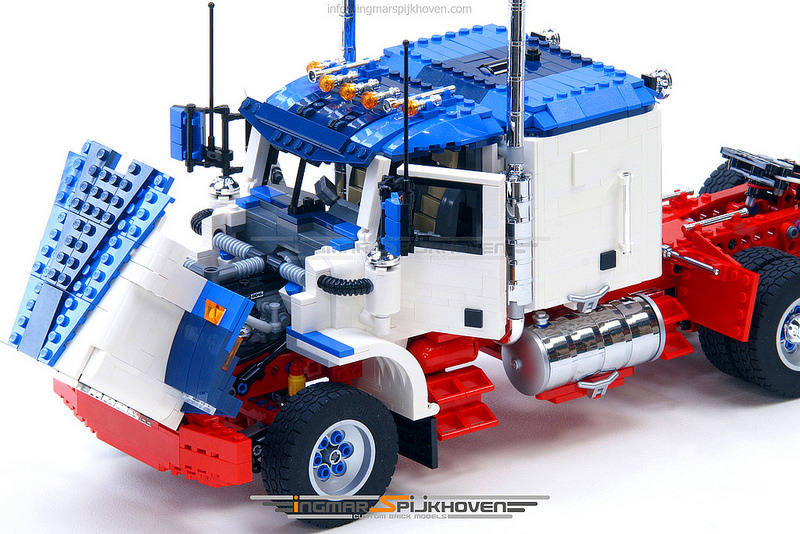 Details go beyond the surface with a detailed engine block, fully done up interior, and doors that function as expected. At about 3,250 elements and 3 months of toil, I’d say the outcome was worth it!